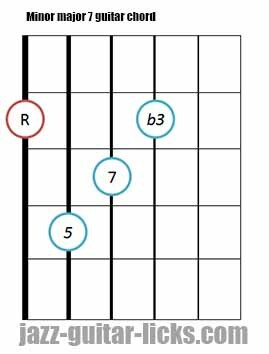 What are minor major seventh chords ? 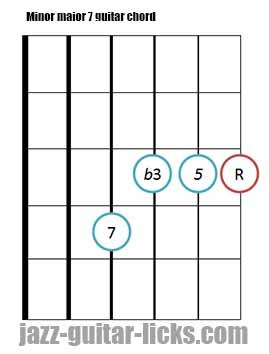 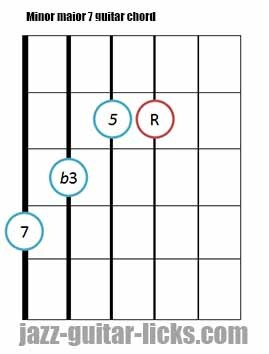 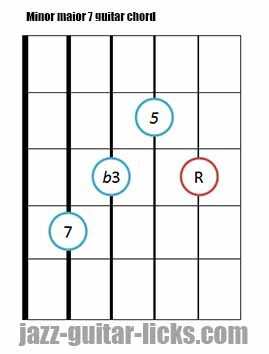 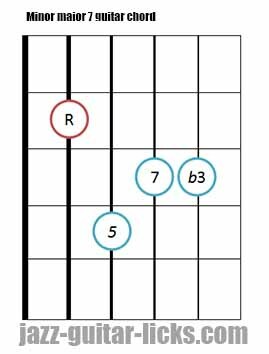 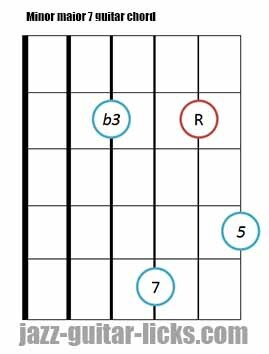 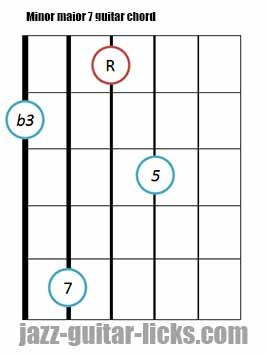 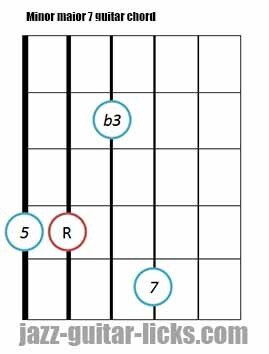 Minor major seventh guitar chords are built by adding a major seventh (7) to a minor triad (1-b3-5) thus giving this formula : root (1), minor third (b3), fifth (5) and major seventh (7). 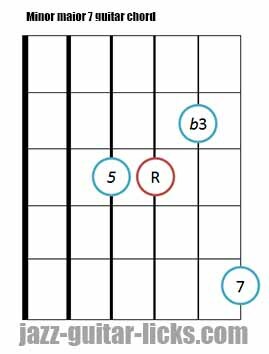 You can think them as minor 7th chords with a major seventh in place of the minor seventh (b7). 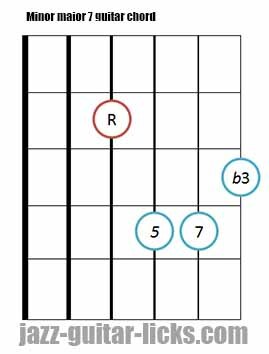 Minor/major 7 chords are dissonant and unstable, they occur naturally when you harmonized the first degree of the harmonic minor scale and the melodic minor scale. 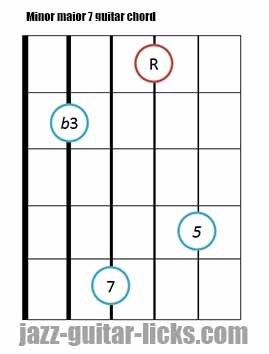 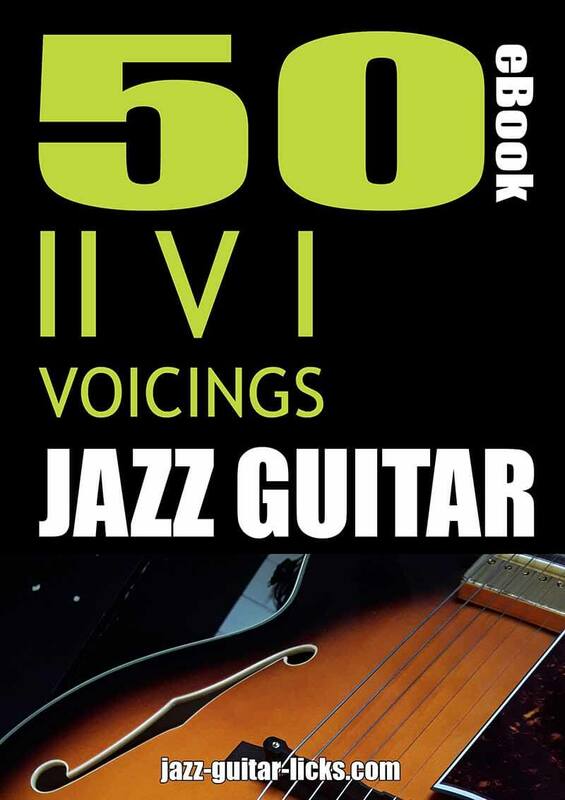 As it is shown in the charts below, by taking the first (1), the minor third (b3), the fifth (5) and the seventh of the C Harmonic (or melodic) minor scale you get a CminM7 chord. 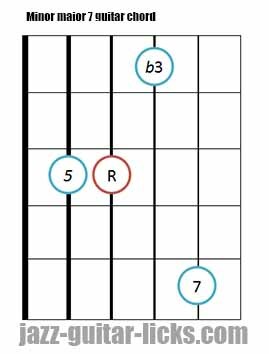 Here are twelve diagrams to play minor Major seventh chord on the guitar respecting the drop 2 voicing chart below.